Karma is a you-know-what, eh St. Louis Blues? In other words, your team is responsible for intentionally taking out Dan Boyle with a targeted hit, so we will embarrass you on the scoreboard. The Sharks smoked you, and it was not even close. Sure, the Sharks let up a little bit halfway through the third period, but the game was all Sharks. Puck possession, shot count, goals, and pretty much any positive statistic that can be attributed was completely in the Sharks’ favor. What made the Sharks’ 6-2 win especially positive for Sharks fans was the response and emotion poured in to the game by the team (such as the first two quick goals), especially after a cowardly act by a disgusting player on a dirty team that put the Sharks’ top defenseman, Dan Boyle, out of the game on a stretcher. Boyle was reported to be in really bad shape as he was on the ice. b) any team that employs Maxim Lapierre (or Matt Cooke – honorable mention). This is not Lapierre’s first classless act against the Sharks. For instance, here is a real beauty he laid on Scott Nichol at the Tank back in 2010. Given what happened, some brought into question Brent Burns’ hit on Brenden Morrow, which I agree was not exactly clean, but not an intentional intent to injure. With the major concern and dirty play overshadowing the first part of the game, the second period initiated a cleaner contest, with the Sharks taking control of the pace. Concerning the injury inflicted upon Boyle, the Sharks’ response was fantastic, scoring two power play goals in quick succession to move into the lead. While their power play was not exactly stellar for the first five games (with most goals coming at even strength), tonight it really shone against the Blues, with three of the Sharks’ six tallies coming on the power play advantage. It really has shown significant improvement from seasons past. Joe Thornton led the team with four points on the night (one goal – surprise! – and three assists), followed by Patrick Marleau with three points (a goal and two assists), then Logan Couture in consistent form with two points (one goal, one assist). Thornton’s tally was his first of the year, as was Scott Hannan’s blast. Tommy Wingels’ goal was a demonstration of true grit and determination by finishing his drive to the net. Tomas Hertl added to his point streak with an assist on Joe Thornton’s goal. Soon, the Sharks will be getting back Martin Havlat, and after that, Raffi Torres – two players notably missing from the lineup. Dan Boyle is reported to be doing okay, although prognosis concerning his injury is unknown. 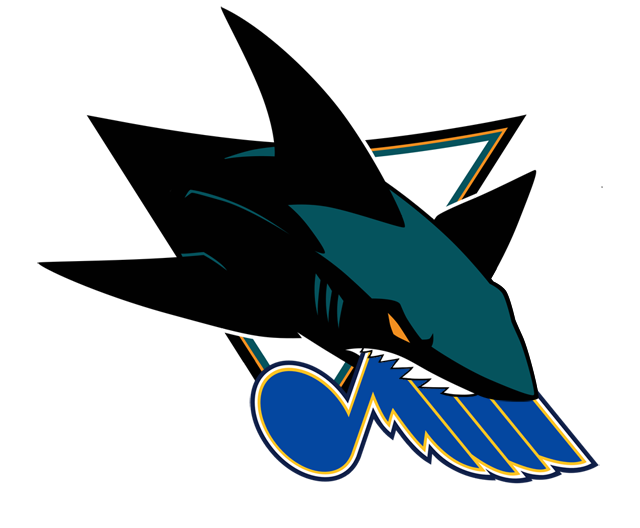 With the Sharks staying unbeaten, they will next venture to Dallas to face the Dallas Stars Thursday evening to try for number seven. Amazing streak! That is really bad news about Boyle though. Reports coming in are indicating he will be okay, but there is no determination for how long he will be out. His head was the main point of contact and the way he went into the boards was particularly ugly.